This variation on the Canon imageCLASS MF8170C color laser printer hardware, the Canon imageCLASS MF8180C, comes with a much need improvement to black and white print speed. Unfortunately, the guys at Canon overlooked the fact that what really needed to be improved was the painfully slow 4 page per minute speed for color prints. Still, the device is fully loaded in many departments, and could be considered if overall color print demands remained light. One of the first things that stands out about this unit, other than the fact that it is a laser device that can print in color, is its exceptionally large multipurpose tray, especially when compared to its very average standard paper tray. The multipurpose tray is capable of up to 125 sheets of storage. This is much higher than most devices of this magnitude, and is presumably inflated due to the anticipation of a demand for better paper handling diversity due to the implementation of color. The color laser output of the unit is selectable in resolutions up to 2400 x 600 dots per inch, while optical scan quality is also excellent and can be set up to 1200 x 2400 dots per inch with 48 bit color though, as many Canon products do, the unit only outputs in 24 bit color. The built in Ethernet port is a great addition for a unit such as this, as often small offices will carry only a single color device due to the limited demand for color printing, making the ability to share over a network critical. The 50 sheet automatic document feeder is also very helpful for making large quantities of copies and, with such a slow color print speed, it is very much necessary to have the ADF on board to prevent hours of user downtime. A USB 2.0 high speed port is also available for single PC hosing, as well as a 33.6 Kpbs fax modem. The blaringly obvious downside to this color laser printer is that its applications as a color device are crippled severely by an absolutely horrible color print speed. Printing at 4 pages per minute at 5% coverage means that full color page prints could take well over a minute each. When compared to color inkjet printers that operate at 30 pages per minute, it doesn’t really make sense to purchase a laser printer such as this for color printing needs, as much faster devices are currently available. 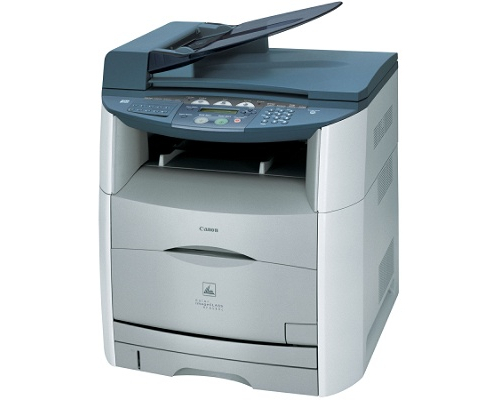 Review it: "Canon imageCLASS MF8180c "
Color laser printers from Canon differ greatly in their toner requirements than most of their monochrome units, which usually use a patented single cartridge system. The imageCLASS MF8180C utilizes a single drum unit that is then loaded with four individual ink cartridges, one for each color (black, cyan, magenta, and yellow). The black cartridge is good for up to 5,000 pages of yield at 5% coverage, while the other colors fall slightly behind with their 4,000 page yields. 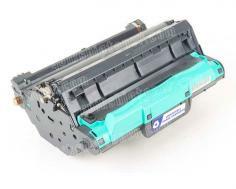 The drum cartridge can last as long as 20,000 pages of black printing, but only 5,000 for color.